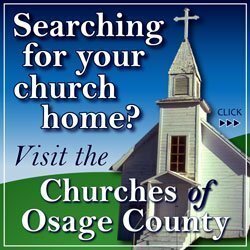 The following information was compiled from records at the Osage County Courthouse, July 23 through July 27, 2018. 18PR28 Arlene V. Zima. Probate will. Filed 7/23/18. Steve Seneca and J. Marie Seneca to William R. Gilbert and Tamra S. Gilbert. Even Lots 32-36, Fourth Street, Gray’s Addition, Quenemo. Al and Lou’s Properties LLC to Emily J. Renfro. 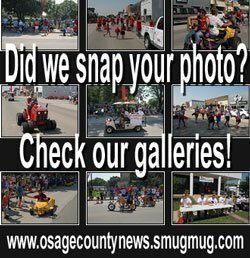 Lots 19, 21 and E 15’ Lot 23, Block 34, Original Osage City. Glenn G. Hunt Jr. and Donna L. Hunt to Dax Lewis and Christina Lewis. Tract Lot 6, Block 34, Original Burlingame. Erick S. Punches to Stuart V. Wakeman and Mary E. Wakeman. Tracts NW 1/4 25-16-14. Emily Renfro to Letitia Swart. Lots 32-36, Block 3, South Park Addition, Burlingame. Crook Family Trust to Bradley E. Clark and Elizabeth Felipa Maisberger Clark. Tract NW 1/4 11-14-16. Darrel E. Finch and Cynthia L. Finch to Jerritt Long. Lots 5 and 6, Block 11, Original Lyndon. Jacob D. R. Nelson to Ben C. Gordon and Alexandra T. Gordon. Lots 1-3, Block 14, Original Lyndon. Michael Musick and Nancy Musick to Michael S. Woodall and Jennifer K. Woodall. Tract NW 1/4 17-14-17. Patrick Metzger and Susan K. Metzger to Hanna M. Miller. Tract NE 1/4 5-14-14. Patrick Metzger and Susan K. Metzger to Christopher D. North and Hanna M. Miller. Tract NE fr 1/4 5-14-14. Hal W. Logan Trust to Emily C. Davenport and Gunner G. Horn. Tract SW 1/4 31-16-15. William Russell Orear and Adeana Rae Orear to Rex E. Arb Trust. SW 1/4 24-17-16. Thomas P. Quaney Estate to Patricia A. Atchison and Charles Atchison Jr. Tract SW 1/4 34-14-14. Lyndon State Bank to Derek Patterson and Tamara Patterson. Lots 14, 16 and E 1/2 18, Block 12, Wetherell’s 1st Addition, Osage City. Cynthia E. Wymore to Beverly A. McHenry. 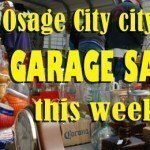 Lots 20 and 22, Block 11, Original Osage City.